Foster Care. 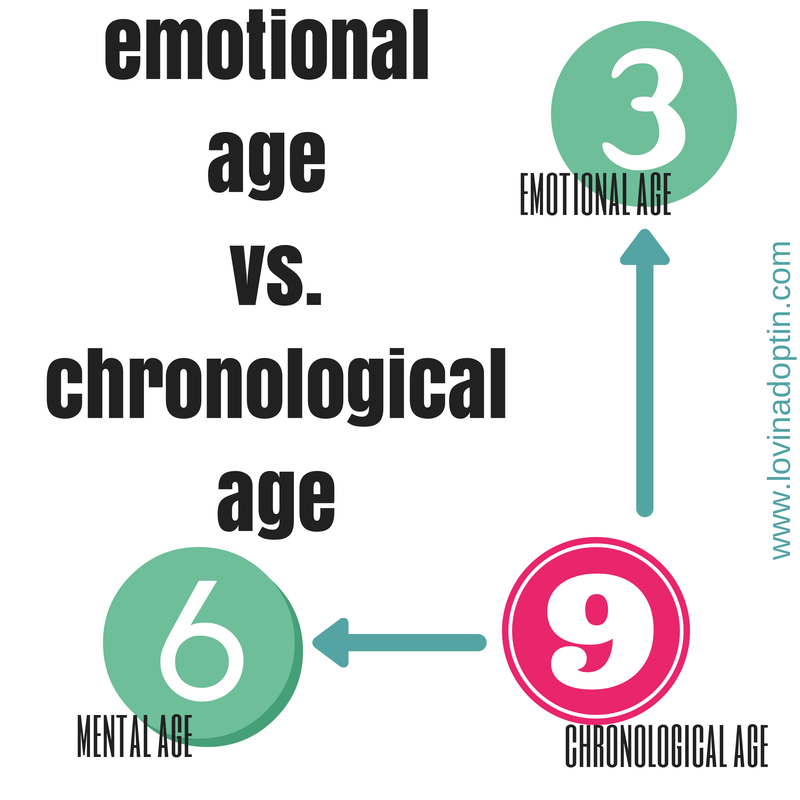 It dredges up memories for me, it heaves horrible statistics, it heals children, it hurts children, it gives them hope, it scars them for life, it’s temporary, or it’s supposed to be. As part of Our America with Lisa Ling, the Oprah Winfrey Network (OWN) focused on foster care the past couple weeks. I wish I could have seen the entirety of the episodes, but we don’t get the OWN. I first read about the series in this Huffington Post article. I got teary eyed watching as the social worker walked out of the police station with an infant car seat. No child should have to wait hours in a police station for someone to come get them, and that someone isn’t even family. Yet, there are far more hellish atrocities happening to children all over our country today. someone to care for her. I hopped over to the OWN and found another short clip that’s part of Lisa Ling’s report, Giving Back to the Foster System. It interests me that in this video Ling says infants are the most difficult to place. 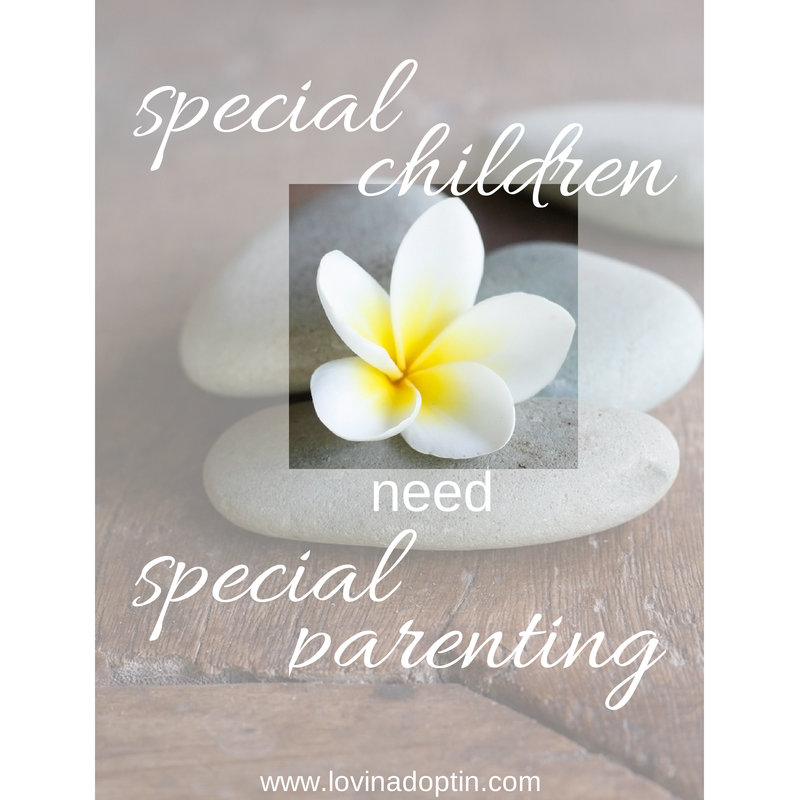 It’s been my experience, in hearing from many other potential foster parents, that they want an infant placed with them. Most often they want a child who is under two-years-old. There are some exceptions, but it’s the most common, but I guess that isn’t so in Los Angeles where this documentary takes place. Maybe it’s a good thing in the end, it must mean that older children (older, as in three-years or over) are not being overlooked as much. What’s the hard part for me in his equation? Well Ling’s question was specifically asking if he thinks about what led to this child’s removal. Umm, for me, YES, I think about what led to my children’s removal. It’s not a constant, far from it, and the farther I’m removed from the foster care scene, the more it slips back into the recesses of my mind. 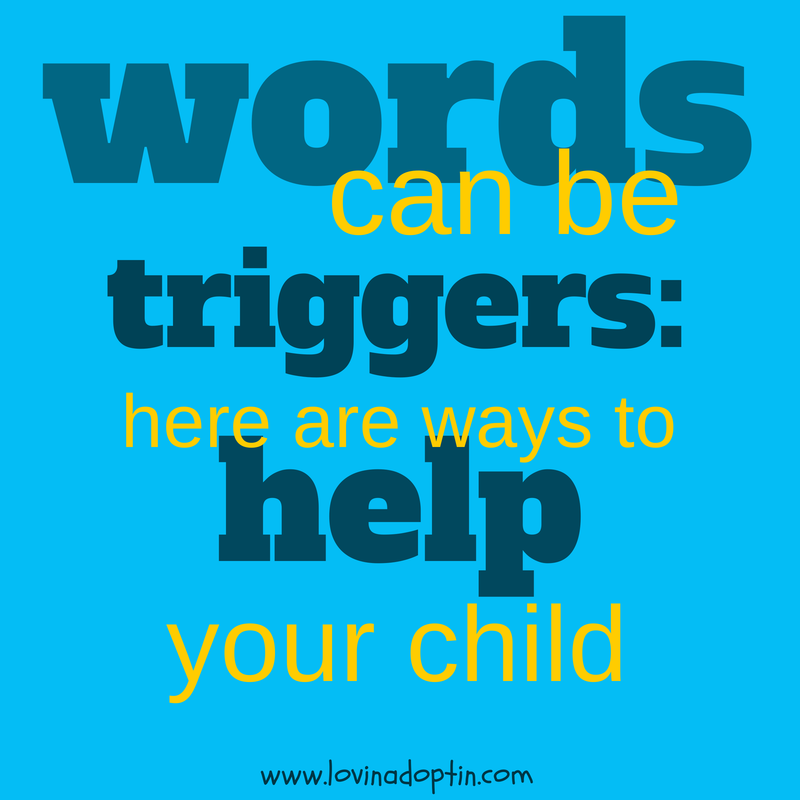 But, I write about adoption, I remember what my daughter’s been through because of her past, I write about what other children are going through because of trauma, so I do think about it. 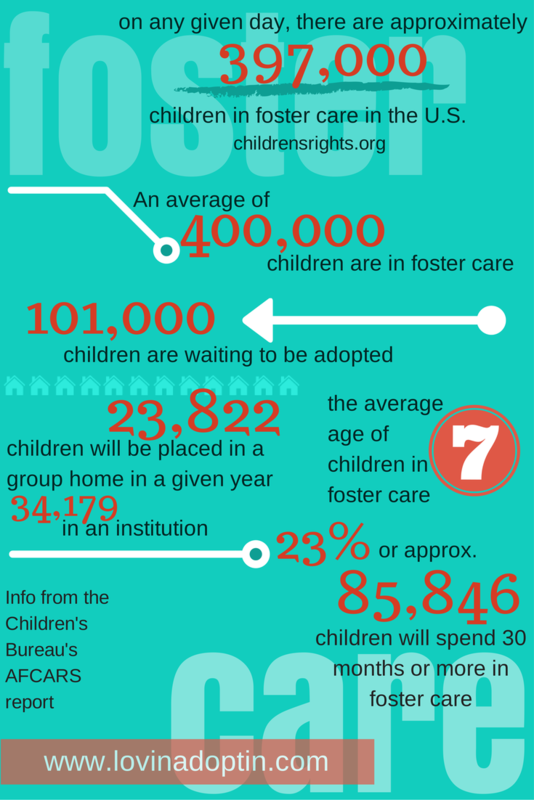 Here are some statistics on foster care. The most recent numbers to be found were for the year 2012. 101,666: Number of children waiting to be adopted. 7: The average age of children in foster care. 23,822: Number of children who go to a group home each year. 34,179: Number of children who go to an institution each year. 93,094: Number of children adopted from foster care in 2012. 23% or an average of 85,846 children spend 30 months or more in foster care. That last statistic (23% of foster children will spend 30 months or more in the system) bothers me the most, all though they all poke holes at my heart. I thought there was supposed to be an Expedited Permanency Plan. I’ve asked this of friends across the nation, who have children in their care for several months, while the officials do nothing to move toward termination. This wasn’t our case, but then the system in our county was changing drastically as we stepped out after Jeremiah’s adoption was complete. I know there is an Expedited Permanency Plan for Colorado, which was enacted in 2002. In short, the House Bill made a ruling that children have permanency by the age of six, whether it be with the biological family, relatives, or adoption by a non-relative. 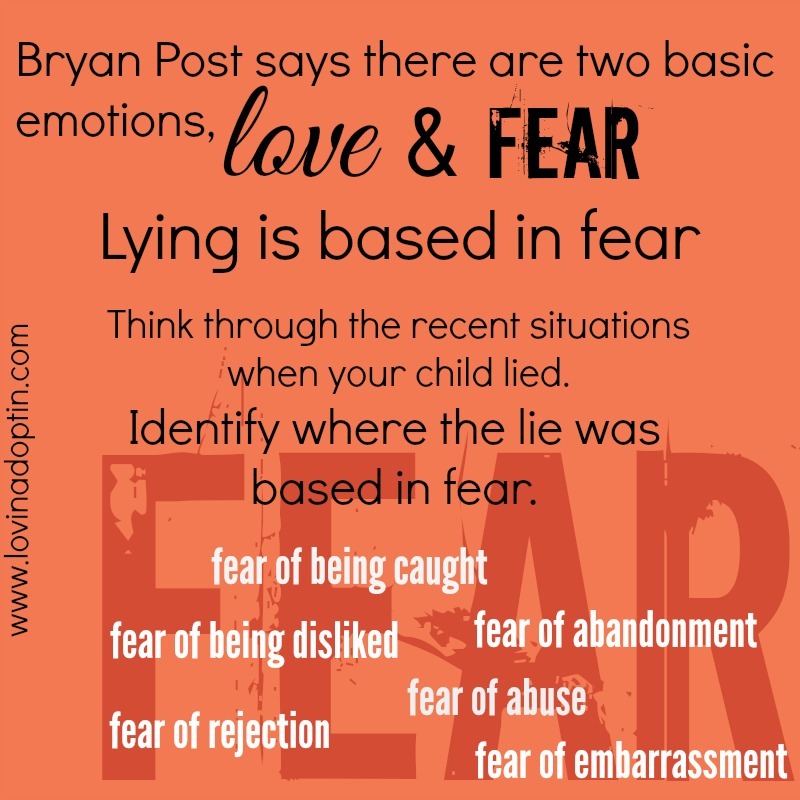 They did this to reduce the risk of a child being emotionally damaged by not having close connections with a caregiver. The Expedited Permanency Plan House Bill says, “…almost all children are now achieving permanency within the 18 months time frame required nationally as determined by the Adoption and Safe Families Act.” I strongly disagree with this statement, as you can see the numbers; 23% of children placed in foster care spend 30 or more months there. This means the 30+ months children are spending in foster care is far beyond the set standard of the Adoption and Safe Families Act of 1997. Why seventeen years later are we still falling extremely short of the target for permanency? It shouldn’t surprise me, but it still angers me. When we’re considering a nation of 318,400,000 (am I the only one bewildered by that number? ), the foster care numbers aren’t extremely high, but they are rising, more rapidly, even when considering population growth. 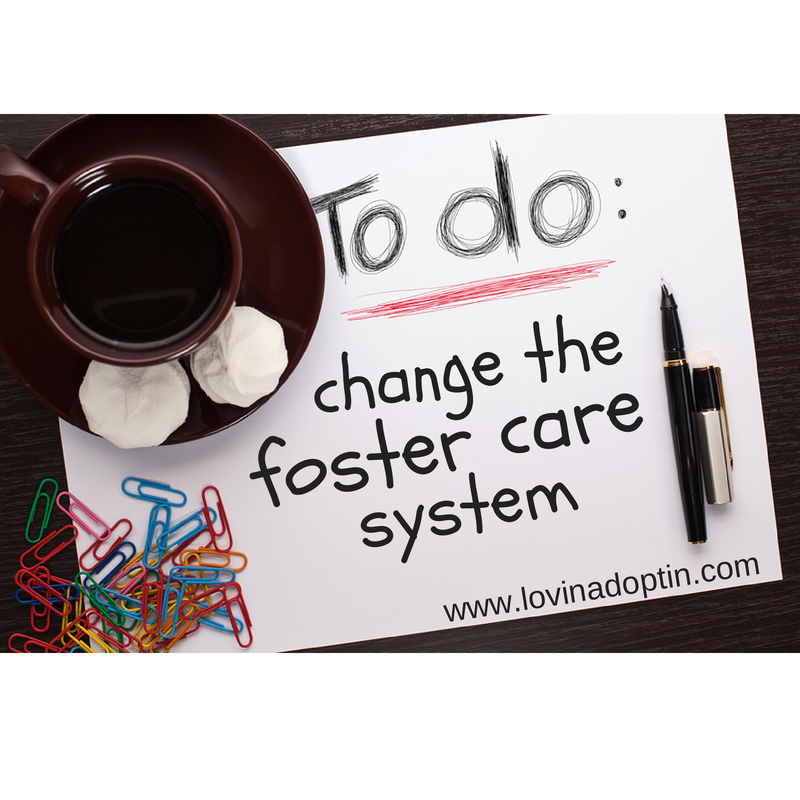 What can we do to help children in foster care? If we know of children who are languishing in foster care, we can talk to their case worker, and if she/he won’t listen, their supervisor. We can write letters to government officials. You can find the number for the commissioner over foster care in your county and talk with them. 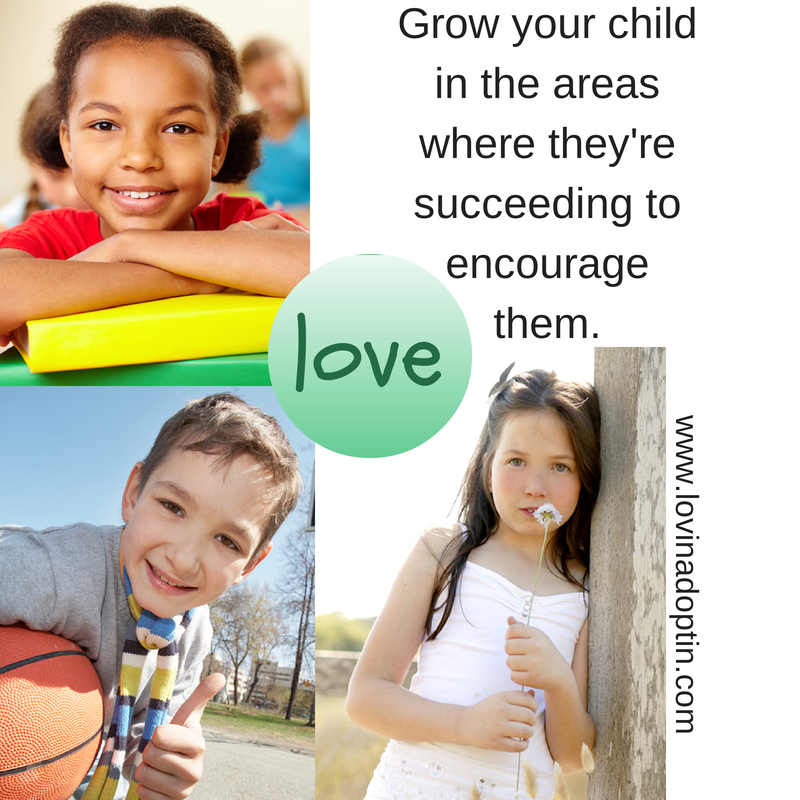 Most importantly, you can become a foster parent. Quality foster parents are needed in every county, some more desperately than others. Sometimes counties don’t have foster homes to place children in so they’re placed hours away (and for older children this means not only loss of family and friends, but a different school). You can help foster children by donating items to your local Child Protective Services. They will take new clothing, and sometimes gently used items such as books, bikes, and toys. As school approaches consider putting together backpacks full of school supplies for foster children. 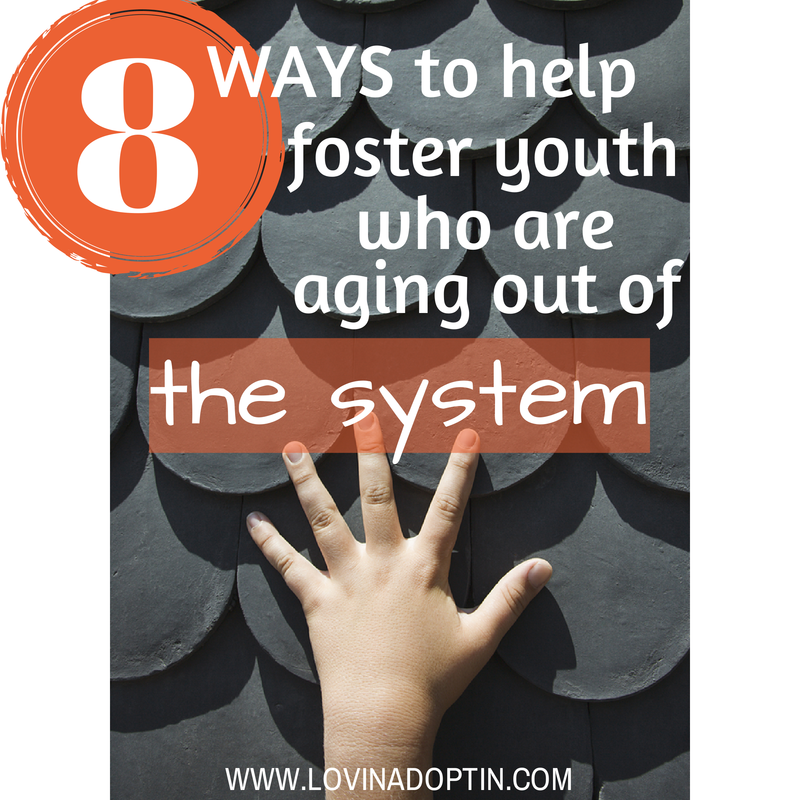 Some of the ideas in my post, 8 Ways to Help Foster Youth Who are Aging Out of the System, are applicable to any foster children. Go check it out, and share with others. 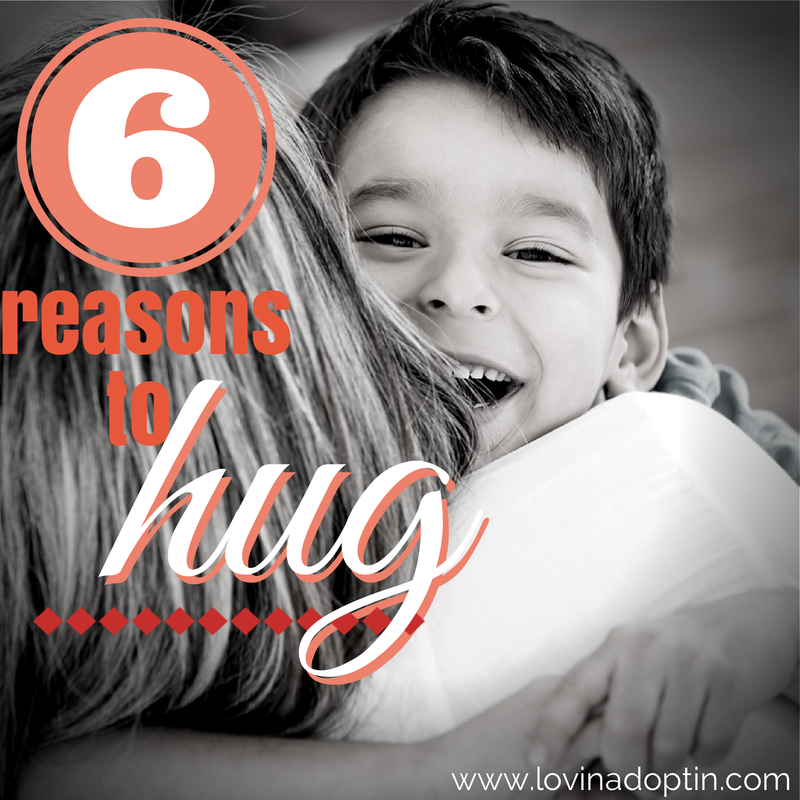 What are some other ways you can help foster children? You can receive every post made to Lovin’ Adoptin’ by subscribing in the upper right corner. If you’re on a mobile device, this can be done on the web version. You can also follow me on Facebook, Twitter, and Pinterest for more helpful information and links. 23,439 foster teens who aged out of foster care in 2012. The reality that children are kicked out on their eighteenth birthday is made even more poignant when you read, Happy Birthday! Welcome to Homelessness. 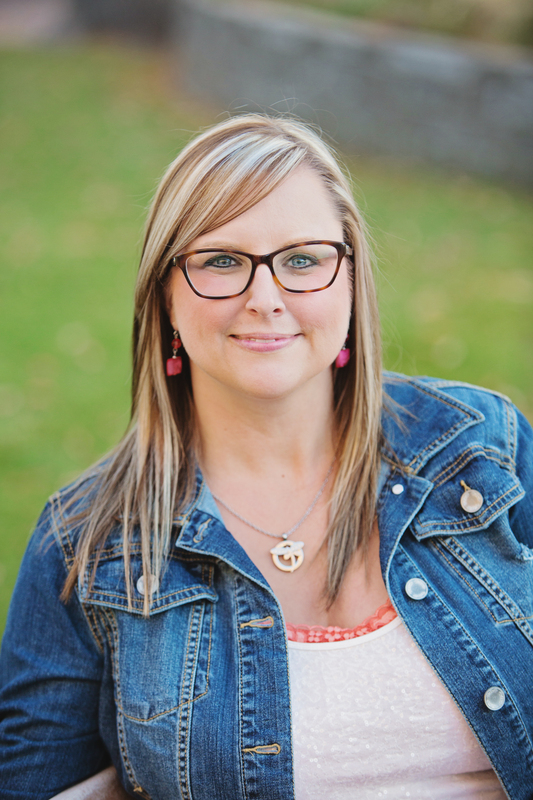 In this article, Pam Parish shows us what it’s like for teens who are no longer wards of the state. 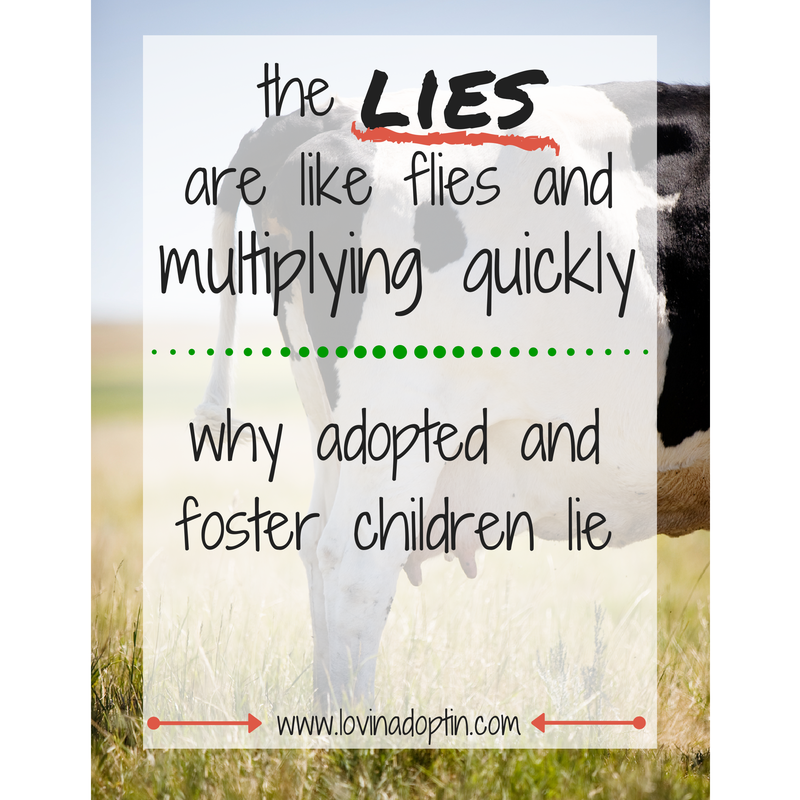 Not all of them have loving foster families who will act as their forever families. Adopt. Although these teens are eighteen and aging out of the system (meaning they will no longer be in a foster home), it doesn’t mean they don’t need, and deserve a family. 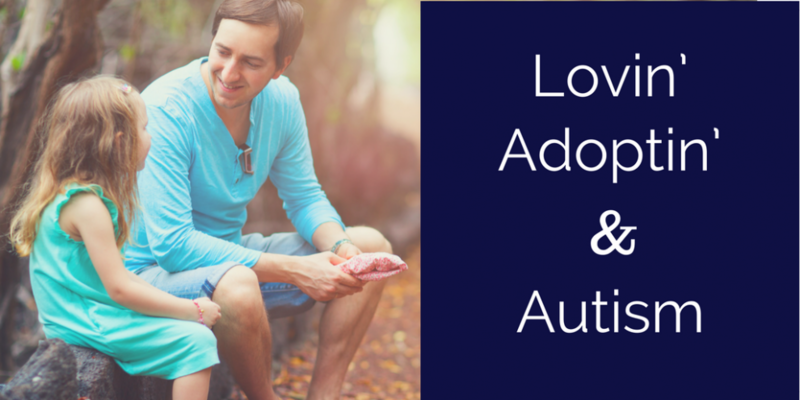 If done through the state, the adoption should be free or very minimal. Become a surrogate family. 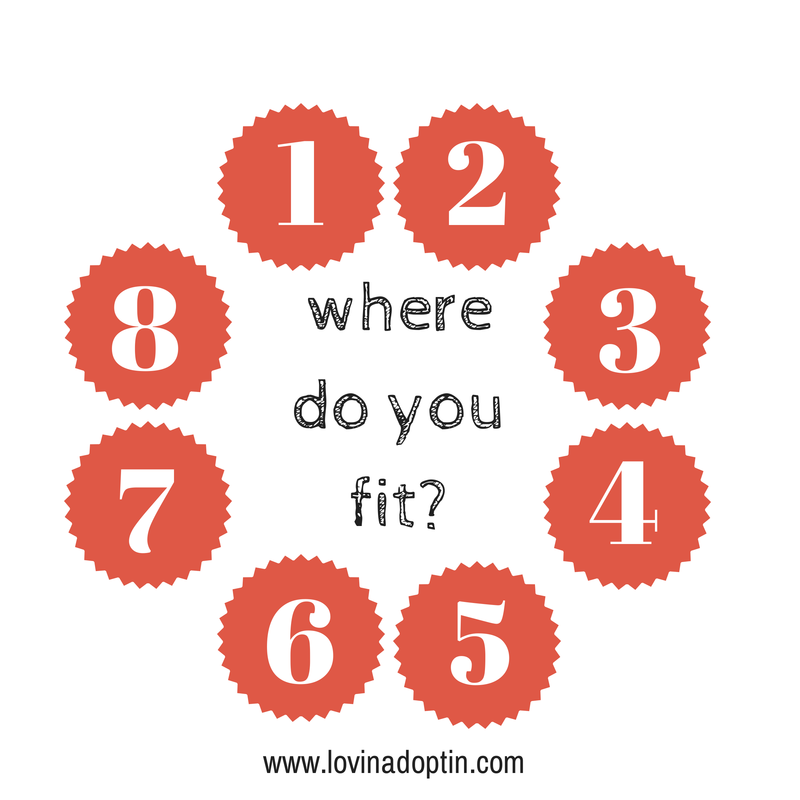 Get to know a teen and be available to them as a family would. Support them in every way a forever family would. The goal of Connections Homes is to provide connection for those foster teens who no longer have a place to call “home”. You can support Connections Homes in many ways, so be sure to check out their wonderful organization. Their biggest need right now is financial support to train families who will be the lifelong connections for these kids. Be a mentor. 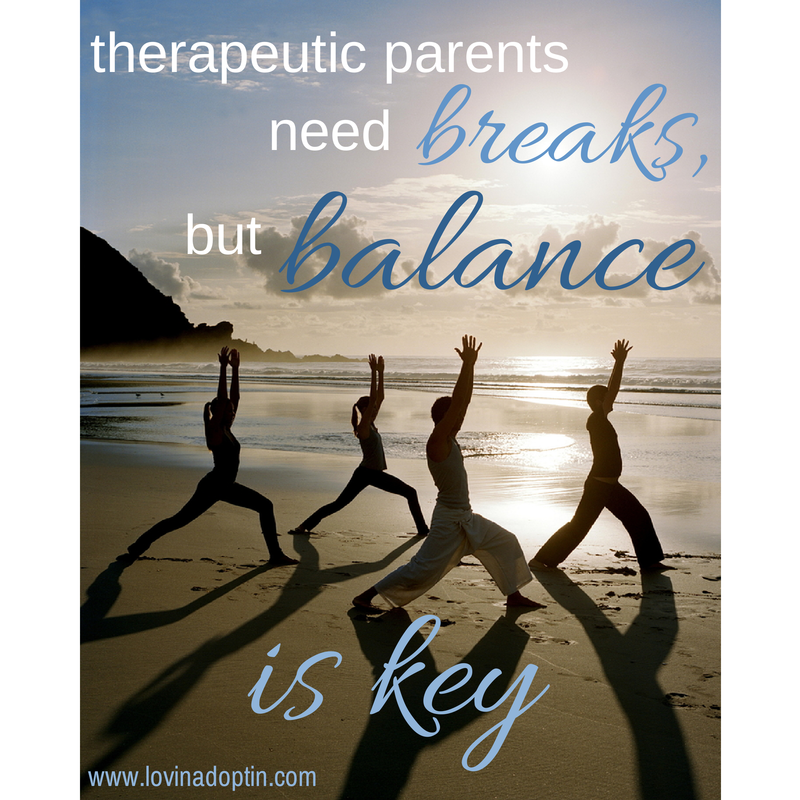 Children and teens need to know that /someone/ cares for them, by being a mentor you can be a consistent support in a child’s life. Provide respite. Through your local Department of Human Services you can find out which foster families don’t plan on caring for a teen past their eighteenth birthday. You can provide respite care for this family, get to know the teen, and be a family they can depend upon beyond their time in foster care. Become a tutor, which could turn into a mentoring situation. Encourage teens to graduate from high school and continue on to work in a field they enjoy or get a college degree. Provide a job. You can provide on the job training to a foster teen who might otherwise be ostracized because of their label. A teen coming from foster care may not have had good parent role models and will need assistance. Maybe you can provide this to them. Donate a car. In the article, Cars Donated to Foster Youth, Bree Boyce says, “…One of the greatest challenges [foster youth who age out of the system] face is transportation to work and school.” In Boyce’s article, she reports on The Riley Diversity Leadership Institute who partnered with The South Carolina Foster Parent Association to provide three vehicles to foster teens. The program, On the Road Again is a program which, “…provides donated cars to foster care youth who are at least 18 but not yet 21 years old, actively employed, pursuing a GED or engaged in a post high school educational program.” If you have the means, you can easily donate a car to a foster child wherever you live, or you can start an organization like this in your area. *After posting this a friend shared with me about the organization, Salina’s Hope Foundation. Be sure to take a look at the amazing work they’re doing in Arizona. I hope this gives you some ideas on how to support foster youth. Please feel free to share with others. 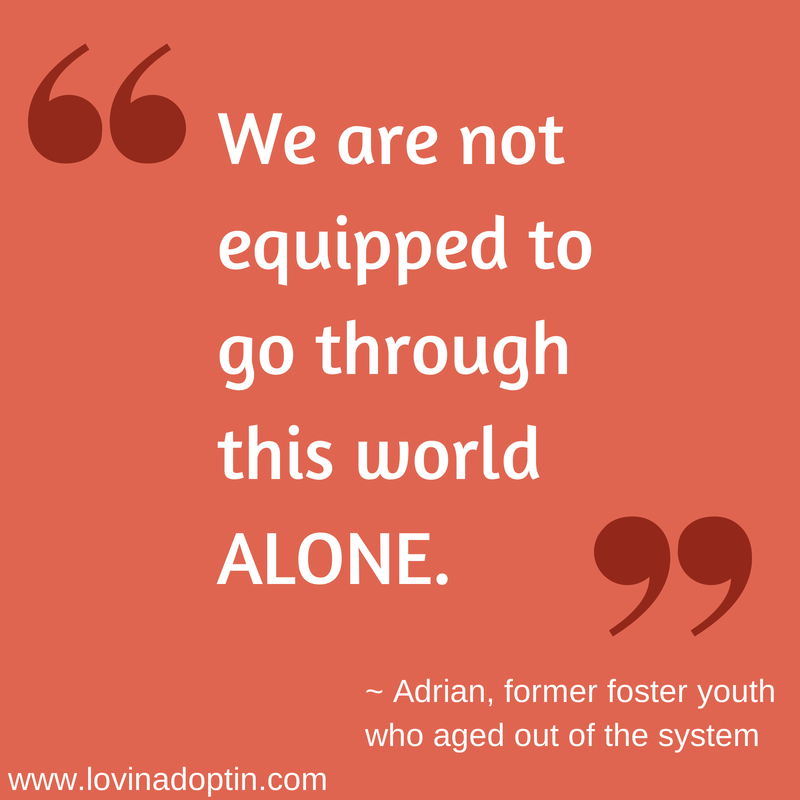 Do you have other ideas on how to help teens who are aging out of the system?